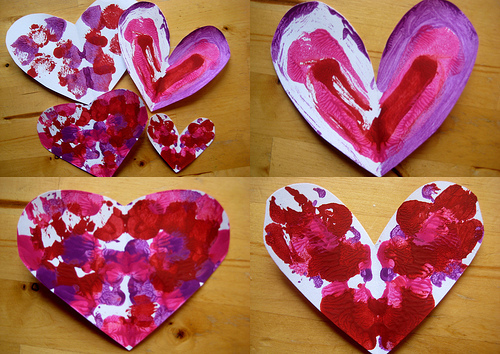 Symmetry art is a classic childhood painting activity and it works so well as a Valentine craft. 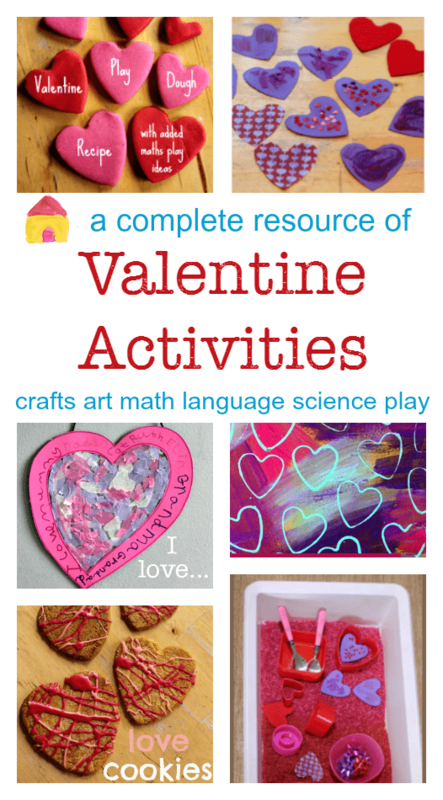 Here’s one of our favourite Valentine ideas, mixing maths and art. To start you’ll need lots and lots of love hearts. We used white card to make ours. Folding the card in half makes it easier to cut out your shapes, as you’ll want both halves of the heart to be the same size so the symmetry magic works. The children can of course have a go – the hearts can be any size they like. Then your hearts are ready to paint. We decided to go with traditional valentine colours of red and pink. Time to start adding the colour – and you need to paint on just one half of the heart. (Folding the heart and hiding one side makes it easier to resist the temptation to paint all over at this stage!) 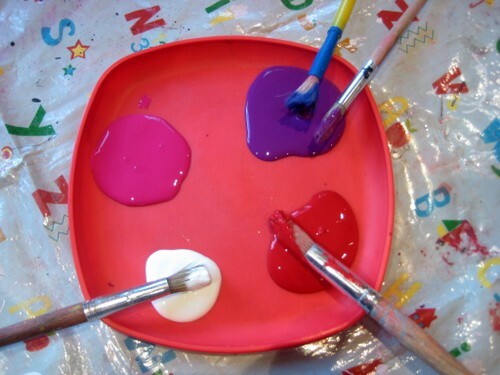 You could use paintbrushes, stamps or fingerprints. 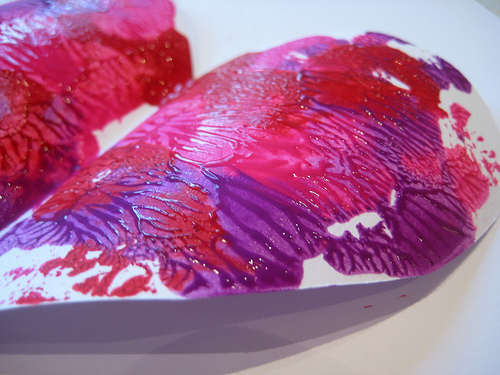 Once you’ve painted one side, fold your heart together and gently press to spread the paint inside. Carefully peel open your heart and ta -da! A magical symmetrical painting appears. 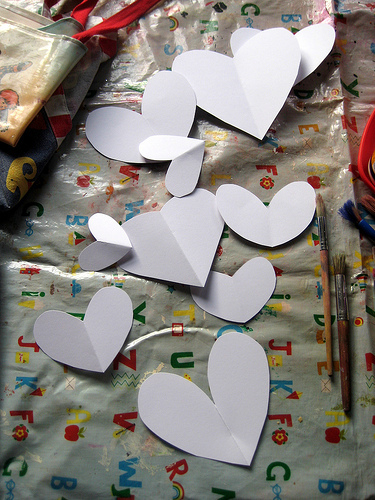 The hearts are wonderful as a project all by themselves but also look great glued onto cards, strung as garlands or fasten a pin on the back and you can wear your heart on your sleeve. Beautiful hearts. I love that you call them “love hearts” – when my daughter sees hearts she says, “This is a heart-for-loving” … never just “This is a heart”! We love symmetry prints and they look wonderful for Valentine’s! Love the ideas, so simple but the effect is stunning! Thanks for inspiration! Lovely! Might give it a try this weekend as a quick boredom buster!